The future looks bright for imperative training with a number of notable accolades under our belt such as the Cardiac Smart Gold Award, Great Place to Work 2014 and the Safecontractor Approved Award. We are also proud as punch after receiving diamond approved centre status with training organisation TQUK, the highest accredited level we could possibly have achieved. 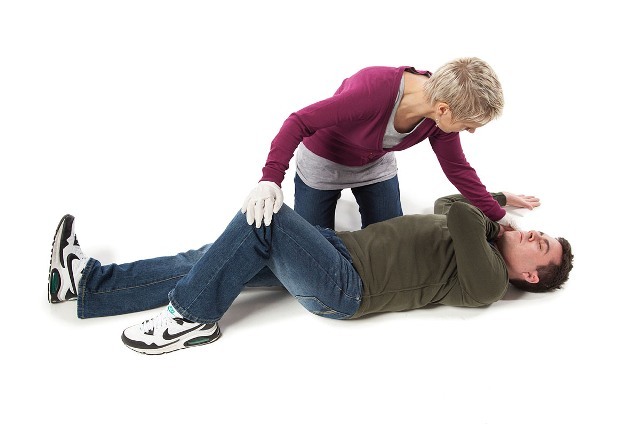 But enough about us, read on to discover the benefits of training in First Aid for Work. You’ll be surprised how often medical emergencies occur in offices. No matter how strict your health and safety policy is, there always seems to be a printer cable astray, ready to trip you up. This is why we have developed the First Aid at Work course, to provide your employees with an extensive knowledge of first aid - from how to treat cardiac arrests and burns to minor conditions such as sprains and stings. "Thoroughly enjoyed training. The trainer clearly knows what he's talking about, very entertaining." The more qualified first aiders there are on site; the more likely it is that there will always be someone on hand to help employees. Guessing how to treat an injury may often make it worse. Therefore, having someone with a vast knowledge of first aid practices will improve the casualty’s chances of making a swift recovery. With the right treatment, the patient will be as fit as a fiddle in no time, meaning that they can return to work and they won’t be out of pocket. Qualified first aiders gain transferable skills that can be used to treat injuries obtained during recreational activities outside of work. They will learn how to help family and friends in a critical emergency, such as someone choking. There’s nothing worse than feeling helpless in a crisis; first aid will help you to keep calm and collected whilst providing effective treatment for loved ones. The emergency services aim to arrive within 8 minutes. However, some medical conditions such as cardiac arrest require urgent attention - fast action from a first aider could mean the difference between life and death. Interested in acquiring a new skill set? Get qualified with our first aid at work courses.